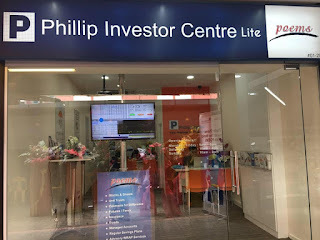 Before you want get started investing in the Singapore stock market, you need to have a CDP (Central Depository Pte Ltd) Securities account and a Trading account. The CDP account is where you keep your shares which you bought in Singapore local market, and it will record all the transaction that you Buy, Sell and other corporate actions. The Trading account is where you Login to do the transaction, plot a chart, get the information on the individual stocks and also facilities to trade other investment vehicle. like Unit Trust, Bonds, ETF, CFD and more.. So how can you open a Poems Trading account and a CDP Securities account with my team? 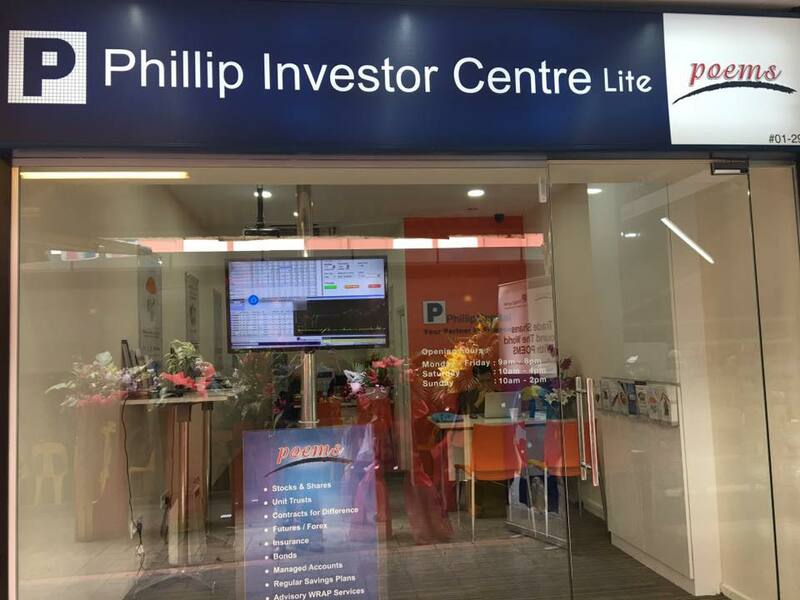 Recently we have open a new office at Jurong East - Phillip Investor Centre lite. You can drop by our office to open all the account you need in one trip. The good news is now you can do these on a weekend as we are also opening on Saturday and Sunday. On weekdays we are also operating into the extended hours. If you are coming, give us a call at 68121540. Moreover we also have very frequent FREE seminars that caters for beginners and also intermediate level's investors. Like us on Facebook to find out more of the upcoming free investment seminar or email us to request for the latest schedule. Below are the few trading account you can open, you can drop my team a message to find out more on our facebook fanpage.